Article writing is something that you don’t usually do in high school, so college students that need to do this form of writing can be easily stumped. An article isn’t the same as an essay, research paper, personal statement or any other kind of writing you’ve done before. Yes, it’s still a researched piece of writing with paragraphs and a main topic, but the way you go about doing it is different. It can also depend on the purpose behind writing this article. If it’s for advertising something, providing information, trying to sell something, getting people to act on something, or another purpose, then you need to know that. The way that you go about writing an article can differ. These steps will help you, no matter what kind of article you need to write or the subject matter of it. When starting a new article, you should always make sure you know what you’re getting into. 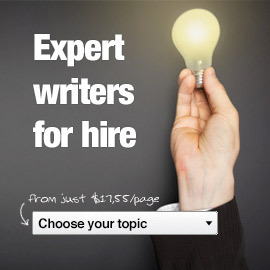 Find out more about the type of article you need to write. The reason behind it and other guidelines will help you know what to write. Next, create a basic outline by briefly summarizing what you want to stay in this article and dividing it into sections. Think about the research you need to do and organize your time. Do some research now to start filling in the blanks in your outline, but don’t get too carried away with it. Next, you should check a second time that you know what you need to do and the specifics of your instructions. Being prepared will save you a ton of time! Time to do the rest of your research! Get done as much as you can at this step, because the more research you have before you write, the better those words will be. The actual writing of your first draft shouldn’t take much time now that you have the previous six steps in place. Write according to your outline and in the way you want the final version to sound. Leave your article without thinking about it or rereading it, for at least a few days. Now you’re ready to do some editing and grammar checking. Lastly, have some other people read it and comment on your work for clarity.